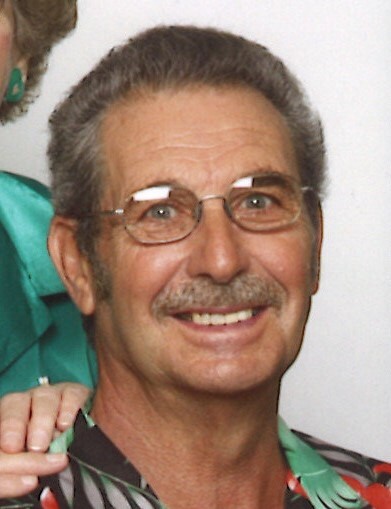 Donald C. Pier Jr., 78, of Miami, Indiana passed into eternity on Thursday, November 22, 2018 at St. Vincent Hospital of Kokomo. He was born February 5, 1940 to Donald Cecil Pier Sr. and Genevieve (Marquis), who preceded him in death as well as an infant brother Wayne. He married Betty Lou Dye on March 6, 1960. Donald worked for the Plumber and Steamfitters Local 440 in Indianapolis. He was a journeyman plumber and retired after 42 years. He was a family man to his children, grandchildren, and great-grandchildren. He served as an elder of Miami Fellowship of Praise. During retirement he enjoyed fishing, gardening, playing games and spending winters in Florida with his wife. Donald is survived by his wife of 58 years, Betty, as well as his son Jeffery (JoAnna) Pier of Bunker Hill, and daughter Teresa Pasquale of Peru. Also surviving are his sister Beverly (Donald) Byrum of Peru, his brother Charles Pier of Amboy, and his sister Joyce Schwengels and the late Forest of Oak Ridge, TN. Also surviving are grandchildren: Heather (Matt) Brennan, Noah (Stephanie) Pier, Amber (Ryan) Record, Adam Pier, Darren (Ashley) Nelson, Micah (Micayla) Pier, and Olivia Pier; and great-grandchildren: Mayah Brennan, Madison Brennan, Alana Brennan, Elias Record, Malachi Brennan, Reagan Pier, Anaya Record, Layton Lidy, and three on the way. Visitation will be held from 4pm - 7pm on Tuesday, November 27, 2018 at Allen Funeral Home, 136 South Elm Street, Bunker Hill, Indiana. A celebration of life service will be held at 10am on Wednesday, November 28th, 2018 at the funeral home, with Mark Chase officiating. Burial will take place immediately following at Ever-Rest Memorial Park, 8315 Logansport Road, Logansport, Indiana. Memorial donations in memory of Donald can be made to Miami Fellowship of Praise Church, 1820 Walnut St Miami, IN 46959.